All the gorgeous things I recieved in one picture, I was so excited to open it all! 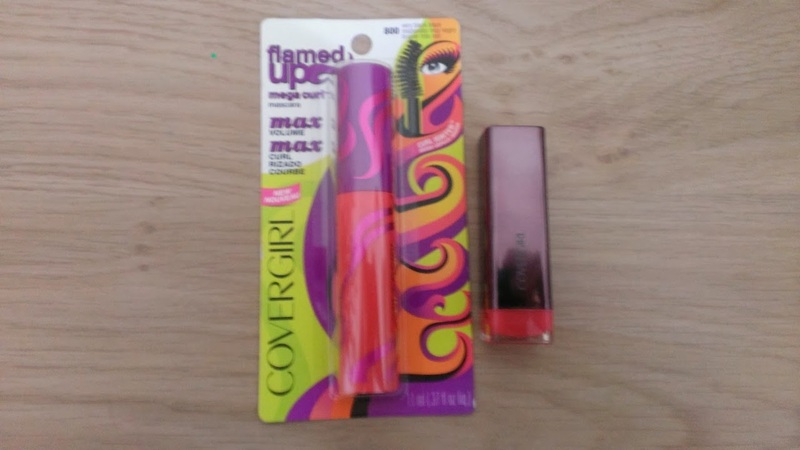 I asked for some cover girl items, I have the flamed up mascara and the lipstick in delight delice! 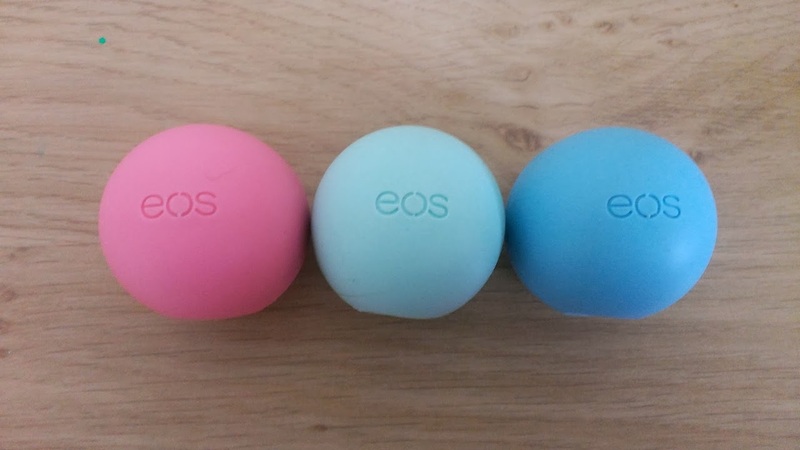 I adore EOS Balms, I already own 2 so I had to get more, these are in the flavors, Summer fruits, mint and blueberry, the mint one smells just like mint choc chip ice cream. 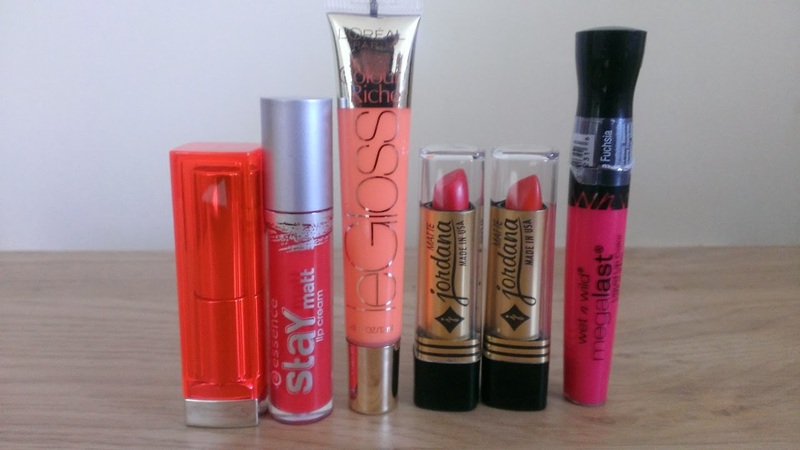 The lipsticks and glosses, The Color Whisper in Orange Attitude, Maybelline in Vivid Rose (my favorite thing of the whole swap!) Stay Matte Lipgloss, a Colour Riche lipgloss in peach fuzz, Jordana Lipsticks which are in the shades 10 Red & Orange and amazingly bright Wet n Wild Lipgloss in Fushia! 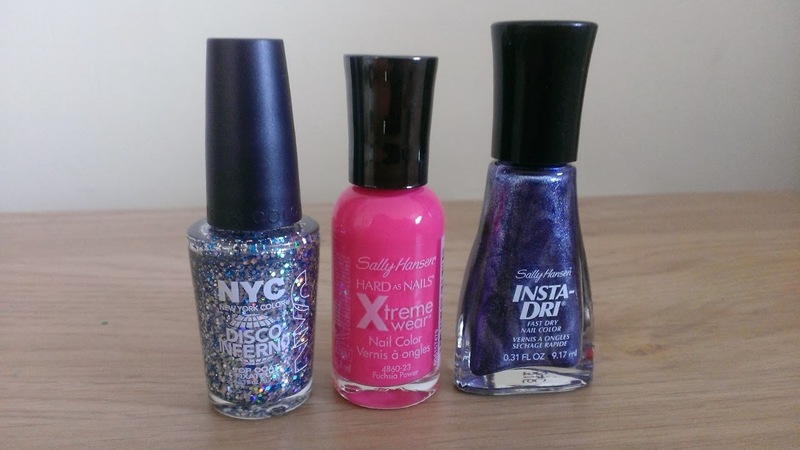 The nail varnishes are the NYC in Disco Inferno, Sally Hansen in Fuchsia Power & Quick Jeanius. Finally some Pocket Bac in the flavous New york taxi, Raspberry Blossom and Fresh Strawberries (not pictured), Love Spell body lotion from Victorias Secret (smells so lush!) Fragrance mist in Warm Vanilla Sugar and Amber Blush (lovelovelove these) and some mints from Victorias Secret! 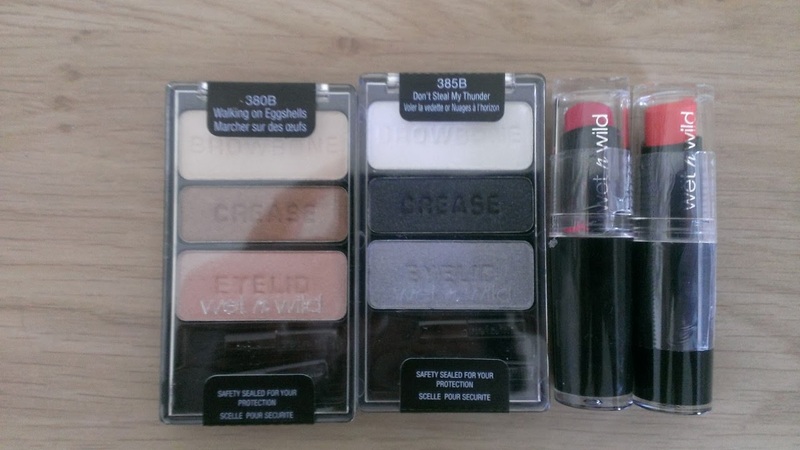 Once again thank you to Ami for these lovely goodies and I hope you enjoyed reading this post. Have you ever tried any American goodies, what are your faves? All of those look gorgeous! Wow! They all look great, you lucky thing! 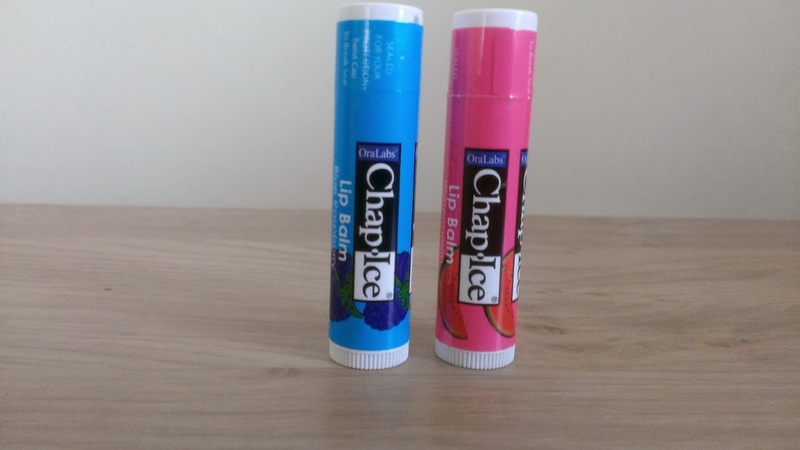 I always think it's funny how much cool American lip balms look compared to UK versions. No idea why! I would love to do a swap like this, looks so good! And you've got some amazing stuff there. 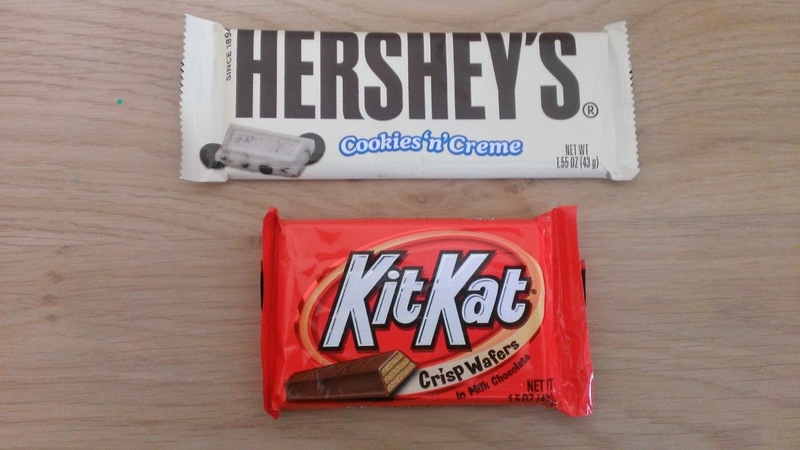 My friend came back from a semester abroad in Canada recently and brought us all back some hershey bars, we got the cookies and cream one too and it was so delicious! I'm tempted to try a swap like this out! You got some wonderful items! I bought an EOS the last time I was in the States and I wish I had got more. Awesome swap! You got some really nice goodies! 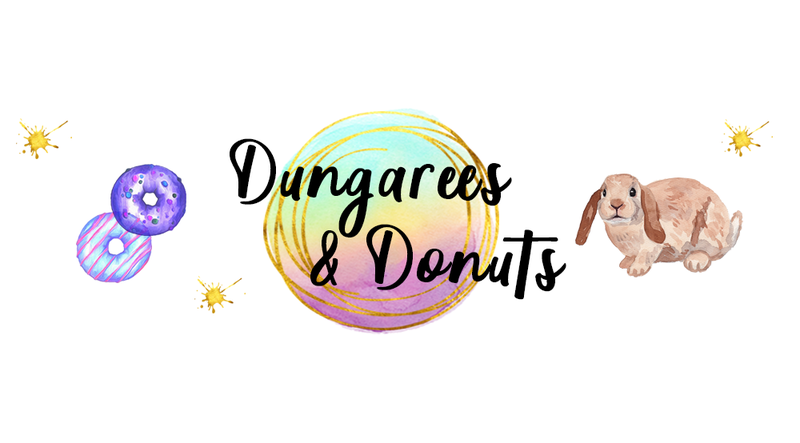 I live in the US, but would LOVE to try some beauty products from other places! I really want to do a swap with someone from the US... 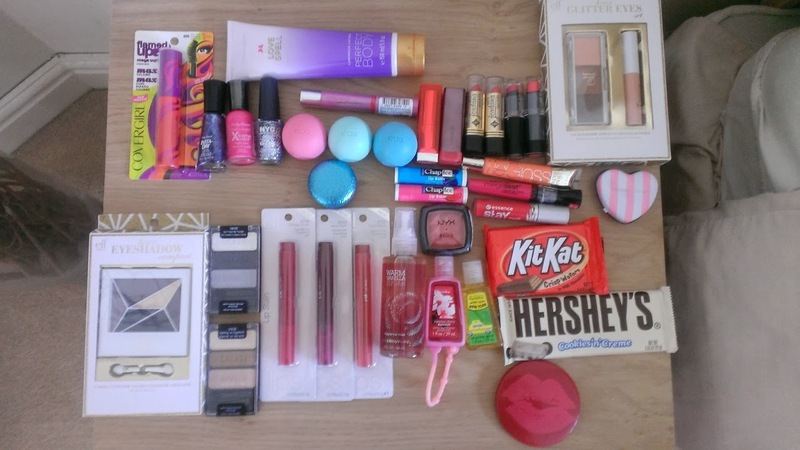 I love America, especially their candy (so much better than ours) and I have a beauty 'to try' list as long as my arm - especially the cover girl mascaras! Cute haul! I love international swaps - great idea to look for a swap partner on Twitter!